Father’s Day will be here soon, a day to celebrate all the Dads in our lives. What is your go-to gift for Dad? Now that I have kids I really enjoy creating sentimental gifts with them for my husband. For little ones I love hand and foot prints along with a colored card. As my girls get older I enjoy doing crafts that are a little more involved. I have pulled together some great gift ideas for the Dads in your life that your kids can help create and Dad will love! Aren’t these DIY Father’s Day Gift ideas just adorable? Which one would you try? 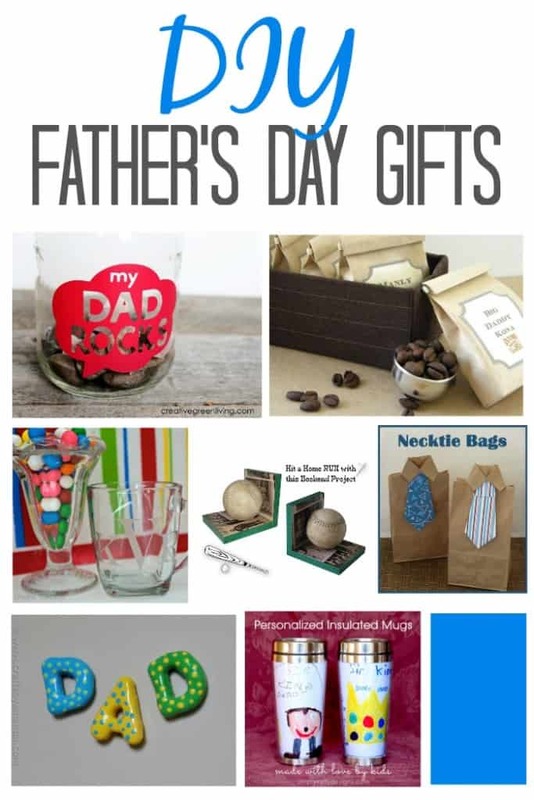 Be sure to click through to see the full post and tutorial on each of these Father’s Day gift ideas and get crafting for Dad! View more gift ideas from Creative Ramblings and follow one of my favorite boards on Pinterest. Follow Creative Ramblings’s board gifts on Pinterest.